Safety and reliability are The Energy Cooperative’s most important priorities.  The Energy Cooperative continuously monitors, maintains and replaces its natural gas distribution infrastructure to increase the safety and reliability of its natural gas delivery system. As part of this ongoing effort, the Cooperative has been systematically replacing certain types of natural gas risers that have been identified by the Public Utilities Commission of Ohio (PUCO) as a potential safety concern. If you have any additional questions, please contact The Energy Cooperative’s member services department at (800) 255-6815. Your safety is of the upmost importance to The Energy Cooperative. Always remember: if you smell gas, immediately leave the premises and from a safe place call 911 and The Energy Cooperative at (800) 255-6815. The “riser” is the portion of your natural gas service line that connects the underground service line to your gas meter. Why Are Some Risers Being Replaced? The Energy Cooperative is systematically replacing certain types of natural gas risers that have been identified by the PUCO as a potential safety concern and could potentially develop a leak. The natural gas riser is owned by the property owner and is the property owner’s responsibility. Although The Energy Cooperative does not own the risers, The Energy Cooperative is systematically replacing these risers on a proactive basis at no direct cost to its members. Under most circumstances, the replacement is completed within a few hours and generally requires digging below the meter setting. Below is a video of a riser replacement. Gas service will be shut off during replacement, and a relight will be promptly scheduled to restore gas service to the property. Members will receive notification about when their riser will be replaced and contact information for the contractor who will be doing the replacement. If you have questions about your riser and whether your riser will be replaced, please contact The Energy Cooperative’s member services department at (800) 255-6815. What if I Want to Replace My Riser? The Energy Cooperative is systematically replacing certain natural gas risers on its system over the next few years. If you have a natural gas riser that is scheduled to be replaced, and you wish to replace your riser sooner and on your own schedule, you may replace your riser using a DOT Operator Qualified Plumber. The Energy Cooperative will reimburse you for the actual cost of replacement up to $250.